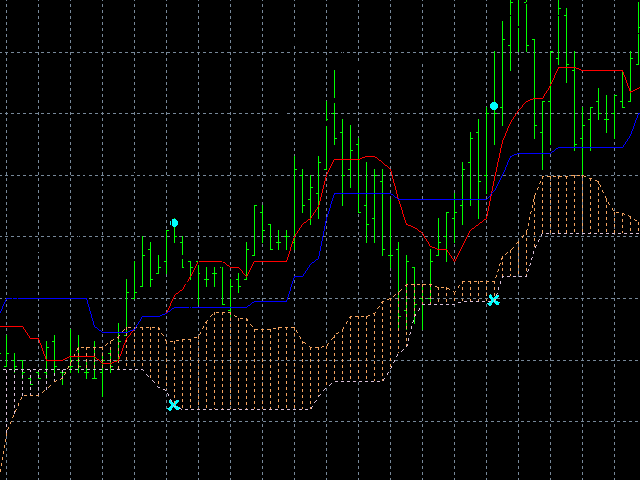 The indicator displays crossing of Tenkan-Sen and Kijun-Sen lines of the standard Ichimoku Kinko Hyo indicator. A buy signal is formed when a Tenkan-Sen line crosses a Kijun-Sen one upwards, while both of them are above a Senkou Span A line. A sell signal is formed when a Tenkan-Sen line crosses a Kijun-Sen one downwards, while both of them are below a Senkou Span A line. 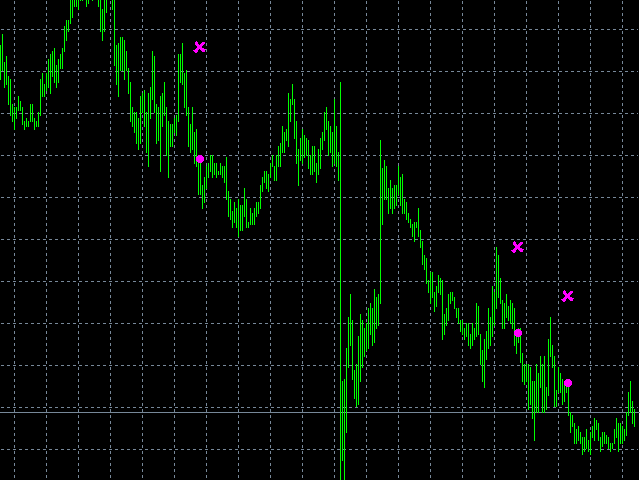 Also, a stop loss level on Senkou Span B line is specified. An additional filtration based on the higher time interval is used. For a buy signal, a Senkou Span A line should be located above a Senkou Span B one, the opposite case forms a sell signal. 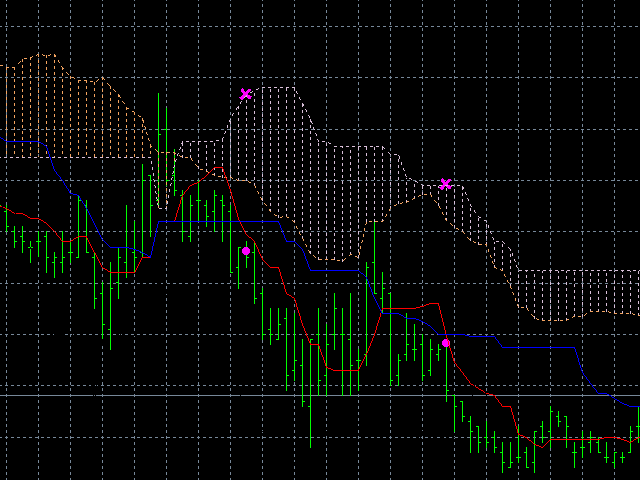 The indicator does not display standard Ichimoku lines. They are shown on the screenshots purely for illustrating the signal forming principle. SlowTF - time interval for signal filtration (drop-down list). If no filtration is required, select PERIOD_CURRENT.